20mm Intersection Box In Black. 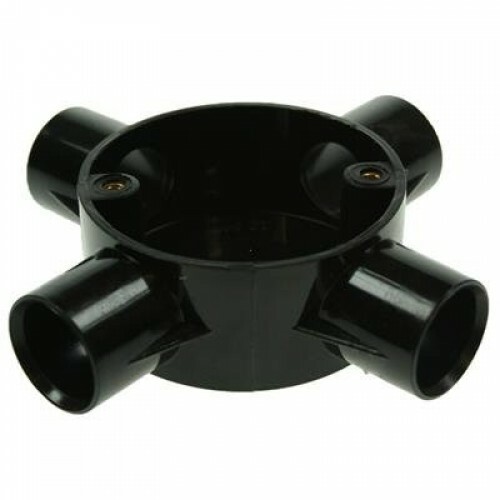 Circular Conduit Junction Boxes with 2 mounting lugs, standard mounting screw spacing 50.8mm (2") for conduit diameters 16mm to 25mm resp. No lid included.